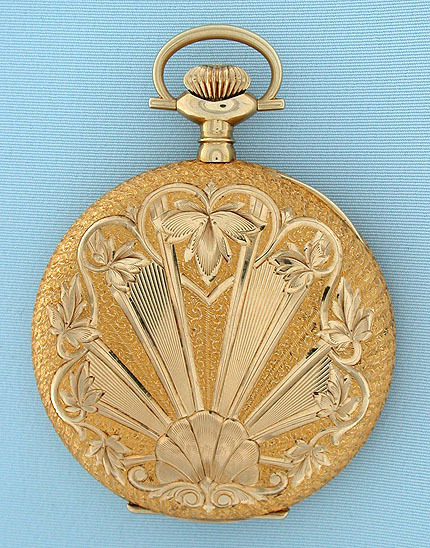 Fancy Elgin 14K gold antique pocket watch with fancy dial circa 1905. 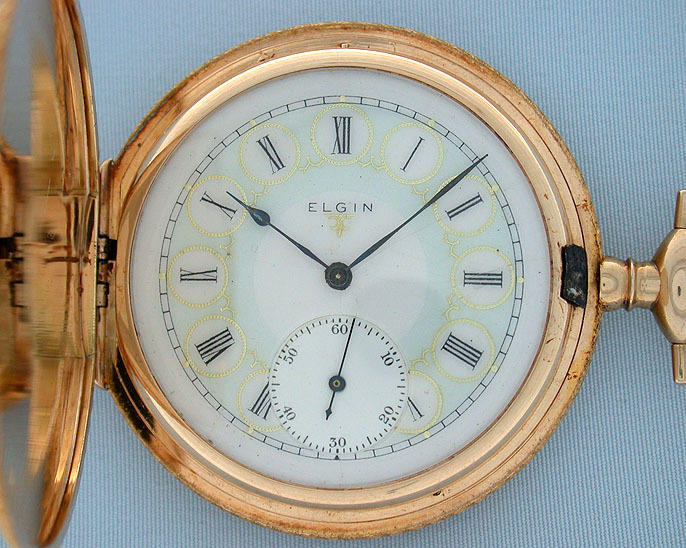 Fancy white enamel dial (cracks) with gold decorations and a pastel background. 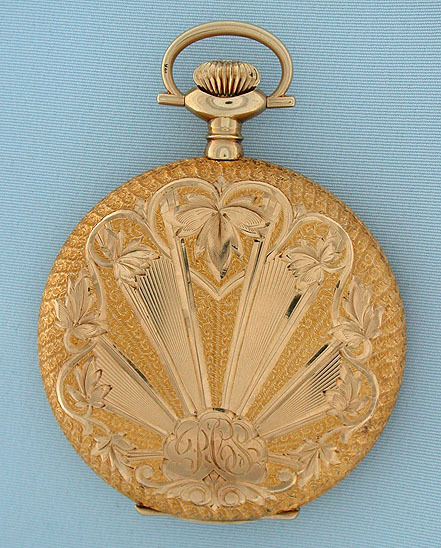 Fancy engraved and carved case. 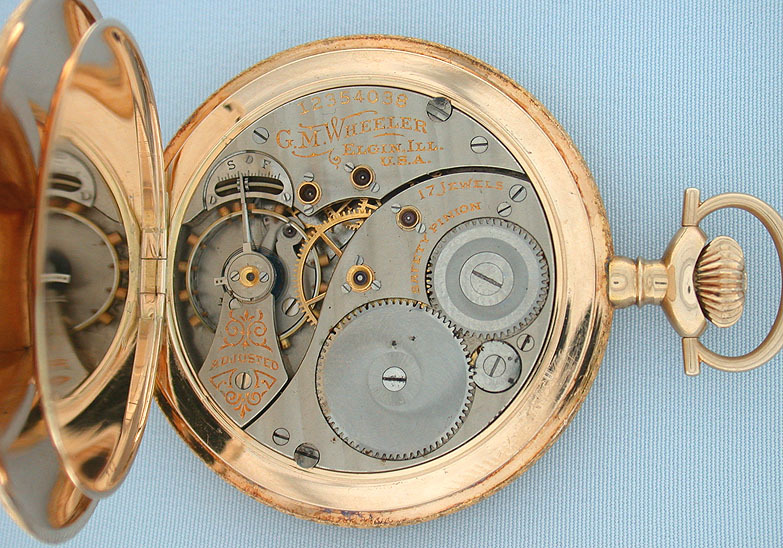 Nickel 17 jewel 12/S movement in an oversized case.